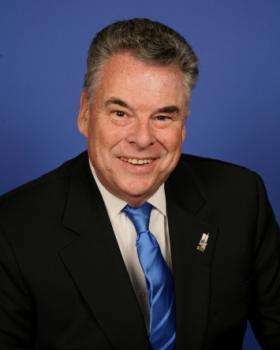 Peter King’s New Federal Internet Gambling Bill a PPA-Coordinated Hail Mary? That was Thursday’s word of the day, as typed by FlushDraw’s own David “F-Train” Behr, who’s currently on assignment in South America. Behr’s single-word commentary came in FlushDraw’s secret private-chat backchannel, where the poker-news topics of the day are often discussed, and referred to yesterday’s news that US Representative Peter King (R-NY) had introduced his Internet Gambling Regulation, Consumer Protection and Enforcement Act of 2013, another belated attempt to force through some sort of United States federal-level internet gambling regulation. The bill, constructed with the close assistance of the Poker Players Alliance, is a decent enough show pony, but doesn’t have the proverbial snowball’s chance in hell in a federal environment where the real short-term prospects for such action disintegrated with December’s collapse of Reid-Kyl negotiations. Even as King dropped his measure (the text of which the PPA has published in its entirety), the American Gaming Association and the office of Senator Majority Leader engaged in another round of sniping over the Reid-Kyl bill’s demise, and that more accurately reflects the current state of US federal i-gambling legislation: That ball’s been tossed over to the states, where the real action on the topic is likely to occur for at least the next couple of years. Contains high standards to thwart fraud, abuse and cheating to ensure fair games for customers. FlushDraw plans a thorough reading of the bill, likely some time next week, to see if King’s measure contains any surprises. The “equal access for all providers” provisions contained within represent, at last, an acquiescence to political reality, in that a bill such as this has a chance only if every possible pro-gambling faction in existence can be corralled into giving a bill like this its support. The greater problem, however, is that it’s almost certainly too little, too late. The structure of United States gambling laws dictates that these concerns are generally governed at the state level, not the federal one, with the US federal government moving in only when states don’t address certain situations, or when specific state statutes might be unconstitutional or otherwise impede upon existing federal laws. Since several states have already moved forward with their own internet-gambling laws, that possible situation no longer exists: the legislative ship has sailed. Still, it’s the old college try for the PPA, which remains a schizophrenic lobbying group, capable of solid work in gambling- and poker-related legal cases yet committed to spending its meager funds in quixotic and undermanned lobbying efforts at the federal level in Washington DC, where its lobbyists and offices are located. That latter, ill-destined commitment represents more of the truth of the PPA as a revolving-door lobbying group than anything else. In King’s bill, the PPA has also accessed one of its most available channels for introducing such legislation. As several outlets reported yesterday, King’s son is a partner in the lobbying firm that PPA chairman and former NY GOP senator Alfonse D’Amato runs, meaning the apple didn’t fall too far from that particular tree. Just don’t expect this one to even reach the floor of the House. It’s “doomed” indeed.